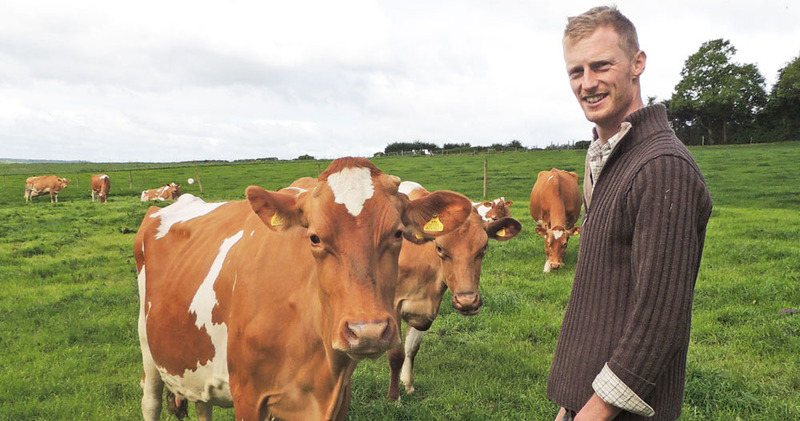 Meet Ed, the seventh-generation farmer producing gloriously golden Guernsey milk. In south Buckinghamshire near Lane End, the family-run dairy began in the 1930s when Ed’s great-grandfather bought three Guernsey cows from the market in Reading. Now the herd of pedigree ‘Beechgrove’ Guernsey cows is 120 strong. This smaller, docile breed is perfectly suited to the chalky soils of the Chilterns and you’ll spot the friendly fawn-and-white-patched beauties in the grassy fields for eight months of the year. “We try to give our cows an easy life while they do their work giving us great milk.” Indeed their beautiful tasting Guernsey milk is some of the best in the UK, as one of only two producers winning a Great Taste Award for milk and cream. From cow to bottle, Laceys Farm milk is as fresh, wholesome and flavourful as it gets. 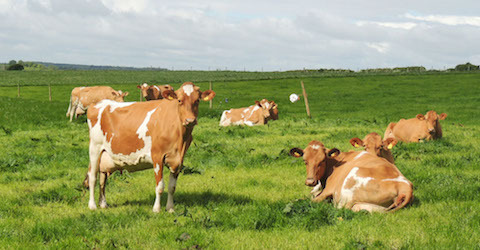 The Guernsey Girls are milked twice a day, every day, and the milk is flash pasteurised and unhomogenised for a more natural and creamier flavour and texture. With less processing and in the traditional way, the cream rises to the top. 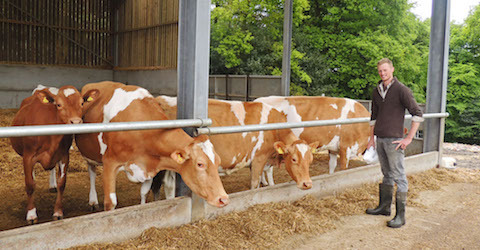 Guernsey cow’s milk gets its special golden hue from higher levels of beta-carotene. With more protein, calcium, omega-3 and vitamins A & D than ‘supermarket milk’, it’s not only your tastebuds that will thank you. “Families are our main customer. We’re keen to educate children about farming, especially since food education in school is lacking - so they get to learn a lot when they visit our farm,” Ed explains, keen to engage more with the local community. Laceys Farm held their first Open Farm Sunday in 2013 which drew over 2300 visitors. Seeing the newborn calves and adorable young heifers in their ‘igloo’ housing is quite the draw, we must admit!